Undead Labs Reveals Zombie Outbreak Map | We Zombie! Undead Labs, developer of Class3, the code name for an upcoming zombie game on the XBox live network, has released an interactive zombie outbreak map using MapAList. 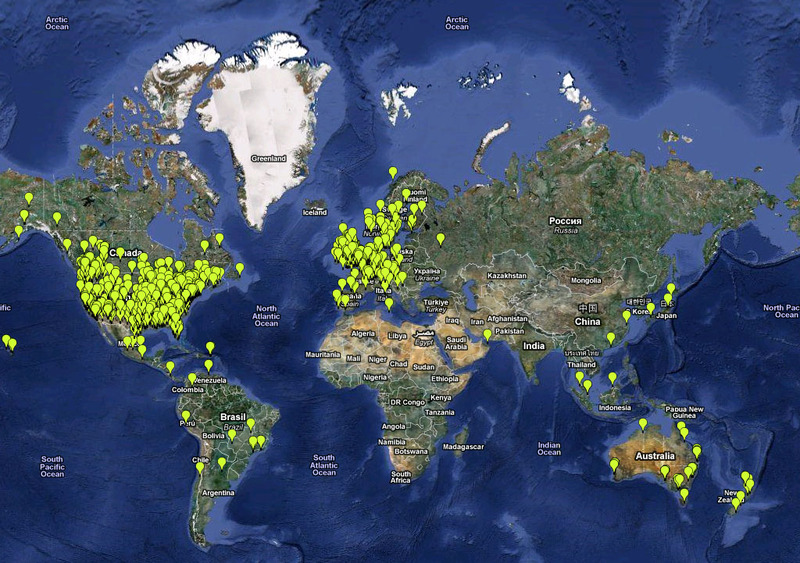 There are pins on the map showing locations where a zombie outbreak has occurred. Interestingly, the source of their data is voluntary submission of a form on their website, which is still open, so go ahead and add your location to the map. Class3 is a kind of proving ground for the development of Class4, which is going to be a massively multiplayer game set during the zombie apocalypse. Players in Class3 will provide feedback and statistics to further the development of Class4, which is slated to be a stand-alone game on various platforms. Concept art for the game is on Flickr. Thanks for sharing your thoughts about leather shoe stretcher cream. page dailly and get nice data from here every day. heat and cost. The epoxy resin prepreg is used to laminate dielectric insulating layers. market before the Ro – HS took effect. topic of this webpage, this blog is in fact amazing. of the responses on Undead Labs Reveals Zombie Outbreak Map | We Zombie!. left by brain dead people? And, if you are posting at additional online social sites, I’d like to keep up with you.